Why Do Hamsters Sometimes Eat Their Babies? Hamsters are known to be cute, pint-sized pets that spend their days running in wheels and adorably stuffing their faces with pellets. While these traits are a major draw to owning one of these fluffy buddies, they can have some primal moments that aren't as warm and cuddly as their appearance. One such moment involves...well, occasionally eating their young. Whether you've seen it firsthand or noticed baby hamsters mysteriously disappearing, the experience is upsetting and confusing. There are a few reasons why this shocking behavior may occur, plus ways you might be able to prevent it from happening in the first place. Female hamsters will begin to prepare a nest in anticipation of the arrival of their babies. A hamster is pregnant for only about three weeks and up to 20 babies can seemingly appear overnight in a hamster's nest if you didn't know your hamster was pregnant. Hamsters will use soft material to make a comfortable nest for their offspring, often making use of tissues, paper towels, shredded paper, and the cage substrate. Sometimes, food is even kept in or around the nest. Hamsters will eat more when they are pregnant and nursing, but otherwise their diet will remain the same as if they weren't. Seeds, fruit, vegetables, and pellets remain staples in a hamster's diet during a pregnancy. Occasional treats are okay, but fresh water should always be available. If a hamster has prepared for a normal birth by nesting and eating a little more food than usual, then it can be especially surprising to see a hamster kill and eat its own baby. But while a lack of food may be the reason this occurs, there are a few other reasons why a hamster may eat its babies. Stress - Anyone who has had a baby can relate to a stressed out mother hamster. Being pregnant, giving birth, nursing, and caring for multiple babies is very stressful for anyone, including a hamster. If a hamster is feeling excessively stressed, then it may eat its babies. It may feel as though caring for its young is more than it can handle and unfortunately kill and eat its babies. This may be more likely to occur in young hamster mothers or if you are disturbing the mother too much throughout the day. Fear - It is normal for mothers of many species to want to protect their young, and hamsters are no exception. But when hamsters are scared or fearful, this emotion can result in killing and eating their own young. Threats like a person that your hamster is scared of, other pets, loud noises, and other things that are intimidating to a small hamster can all cause it to eat its babies. Scent - A mother hamster spends a lot of time cleaning and caring for its young. The scent left on each baby helps the mother recognize the young. If a new scent, such as the scent of a human, is found on the babies, the mother might become confused and not recognize its own babies. It may then kill and consume the perceived impostor because the scent of the baby changed. Lack of Food - Perhaps the most obvious reason why a hamster would eat its own babies is due to the lack of food. Any animal that is pregnant or nursing is using more energy in its body than it typically would to provide for its young. Therefore, more food is so necessary. The hamster may simply be hungry, or the lack of food may result in the fear of being unable to provide for its baby. Inability to Care for All the Babies - If a mother feels as though it is overwhelmed with its new litter of pups, especially if it is a larger litter, it may decide it is unable to care for all the babies and eat them. The mother does this out of the good for the rest of the babies in able to help them survive even though it doesn't look like a kind thing to do. Is Your Hamster Spayed or Neutered? There are a few easy ways to help prevent a hamster from eating its babies. Keep Things Calm and Quiet - Be sure to create a calm and quiet place for your hamster to nest and care for its young. 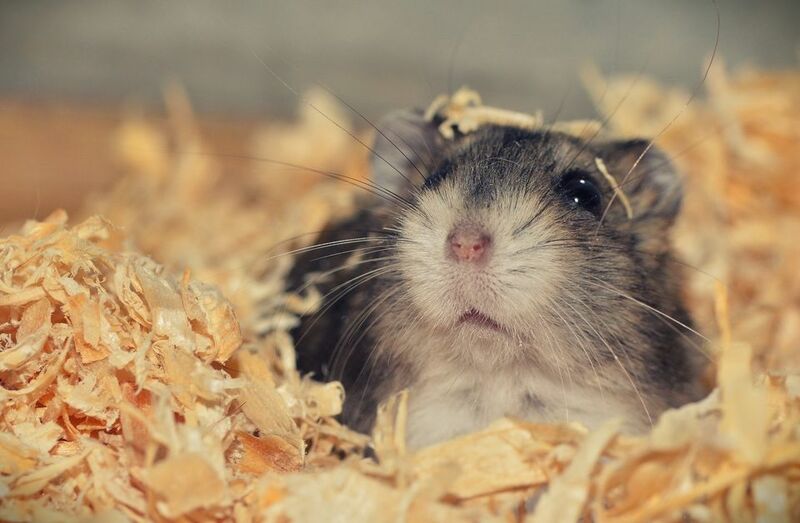 This may mean keeping children and other pets out of the room where your hamster resides, keeping the volume down in your home so as to not disturb your hamster, and potentially even cover the cage so it can't see any perceived threats or stress. Check on the Babies, but Don't Touch Them - Taking a peek at the babies is okay, but you should leave them alone as much as possible for at least the first week of their lives. Do not touch the babies with your bare hands, and avoid moving them at all, if possible. Provide Plenty of Food - This may be obvious, but make sure your hamster has more than enough food while it is caring for its young. Will Hawks Eat Your Pets? How Do You Move and Travel With Pets in the Car?